CLEAN the white bell mushrooms, rid them of any dirt. TRIM the ends off the mushrooms and set aside. SLICE the red bell peppers into large chunks, about the side of your thumb. SLICE the red onion into chunks too. CLEAN the chicken breasts and slice into large cubes / chunks. 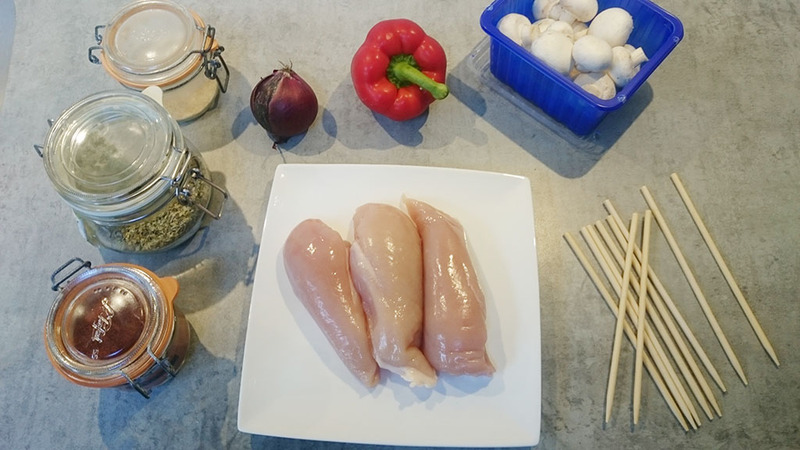 ADD the chicken breasts into the large bowl and add in 3 tablespoons of paprika powder along with 1/2 teaspoon garlic powder and 2 tablespoons of dried oregano. COAT all of the chicken pieces, add more spice when needed. 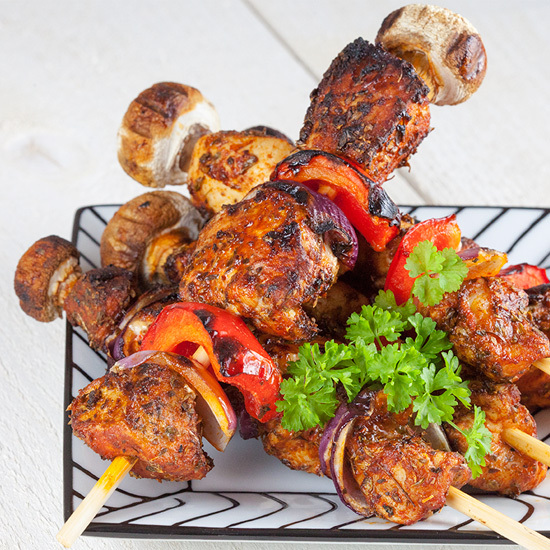 PREPARE the skewers by piercing a piece of chicken, red onion, red bell pepper 3 x. Piece a white bell mushroom at the end of the skewer. Repeat this step 10 times. 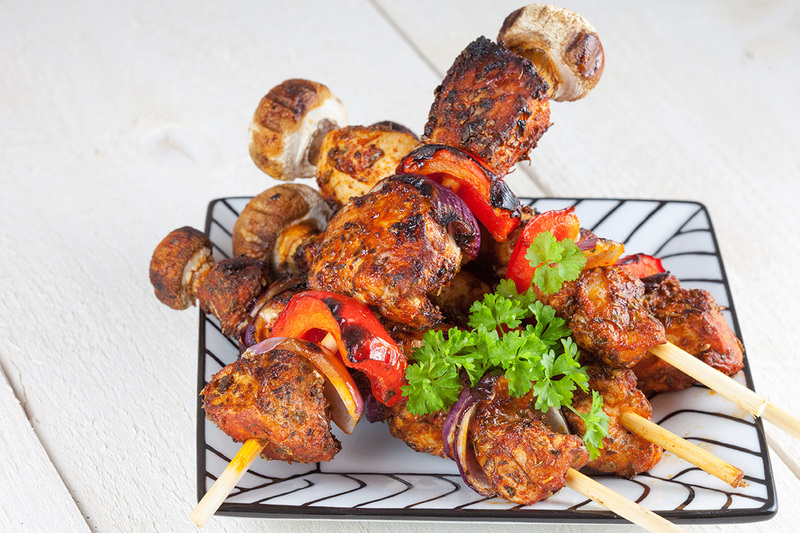 This recipe is meant for grilling on a barbecue, but you can bake these chicken shashliks in a large grillpan with some olive oil as an alternative. 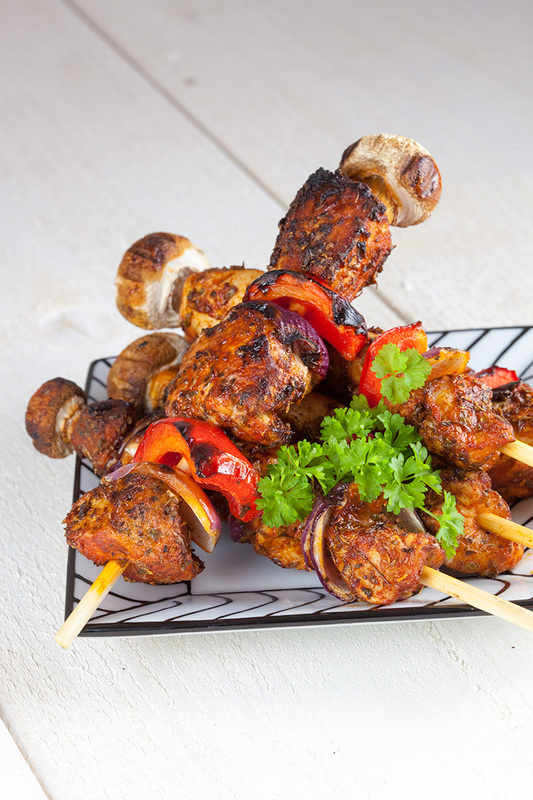 Simply put these shashliks on the bbq and turn them every few minutes. BAKE until the chicken is cooked thoroughly.